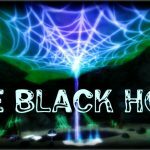 Our friend Destiny WildHeart aka Cattalicious let us into her home to scope out all the new items and features it brings. Thank you, Destiny! 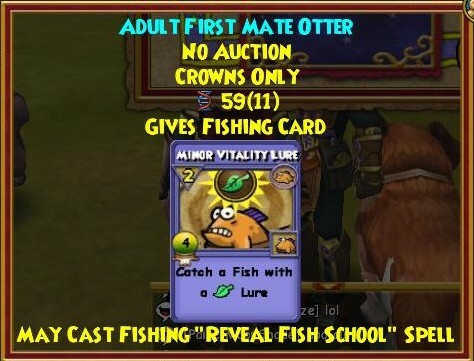 What is in the Mystic Fishing Bundle? 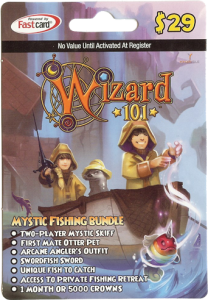 The Wizard101 Mystic Fishing Bundle (can be purchased at Wal-mart) is a bundle geared specifically for fishing. 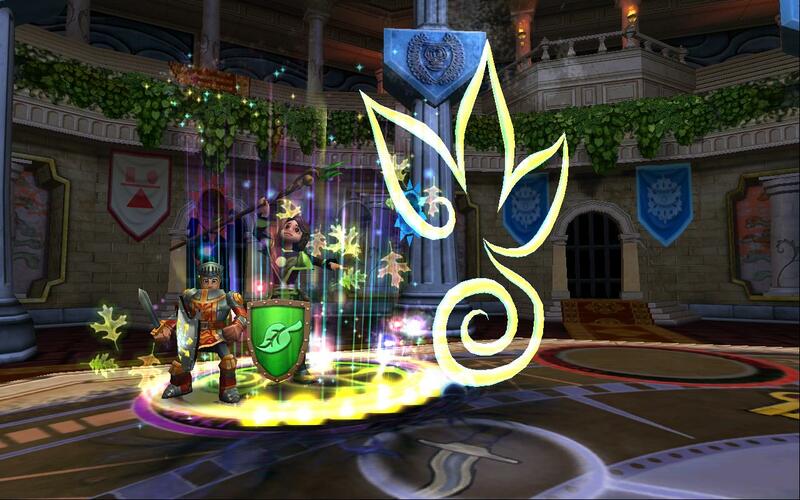 The bundle contains a house add-on, similar to the Pagoda Gauntlet bundle and the Spiral Cup Gauntlet. This house add-on leads you to a secluded, cliff-side lake teeming with fish. 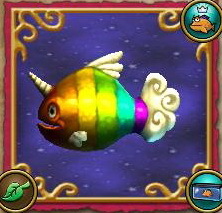 Players and their friends can spend time catching fish, and searching for an all new fish unique to the bundle. The following fish have been reported to have been caught in the house add-on: Rainbow trout, Brain Sturgeon, Bearded Trout, Charred Dekoi, Corroded Dekoi, Fabled Dekoi, Hammerhead Shark, Mainstream Dekoi and Mud Dekoi. Learn more about them in our Fish Location Guide. 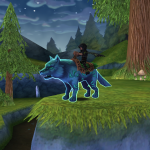 The bundle contains a new rowboat, 2-person mount, perfect for making your way merrily down a stream. 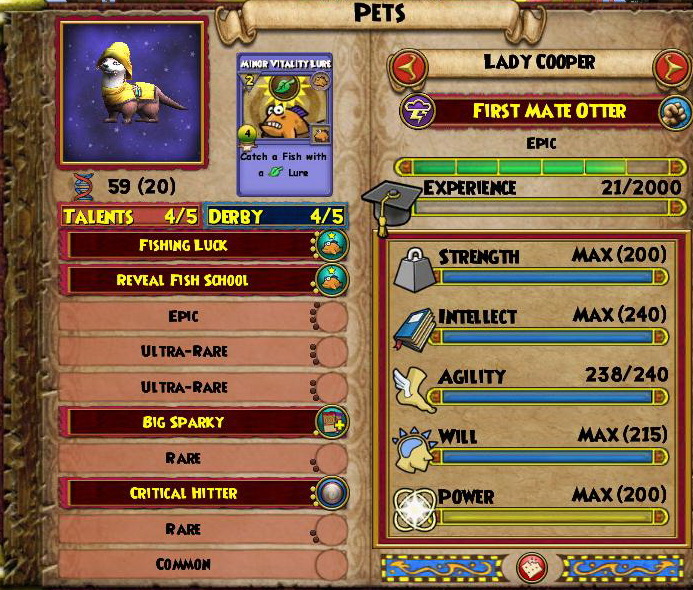 The First Mate Otter comes with a never-before-seen talent: May Cast Fishing “Reveal Fish School” Spell, becoming the first May Cast talent able to activate outside of the battle circle. 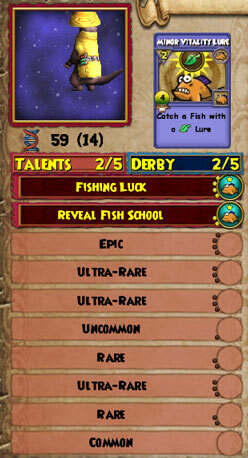 It also has a Fishing Luck talent. 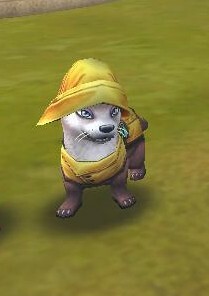 The bundle also comes with gear: Arcane Angler's Souwester, Arcane Angler's Slicker, and Arcane Angler's Galoshes. Here's a list of it at all levels. The bundle also comes with weapons of course. Here's a list of them at all levels. What do you think about the bundle? Let us know in the comments below! Psylent Night was an active part of the Duelist101 crew and an avid PvPer in his days. We're very grateful that his articles get to live on on Final Bastion.